Far out, man! Whilst you’re busy giving peace a chance, don’t forget to keep your dishes clean with Paladone’s ‘Groovy Baby’ Washing Up Sponge. Reminiscent of 60’s Carnaby Street, this fab ‘Groovy Baby’ Washing Up Sponge will make your pots and pans shinier than a pair of PVC boots. 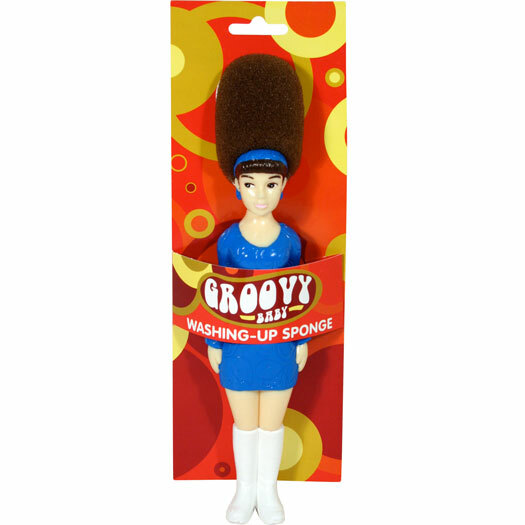 The’ Groovy Baby’ Washing Up Sponge is a perfect gift for fans of the 60’s, whether they remember it first time round or not. Attired in a 60’s iconic mini dress and knee high boots, the ‘Groovy Baby’s’ beehive hairdo is perfectly shaped to clean plates and cutlery and is especially suited to get to the bottom of long glassware. 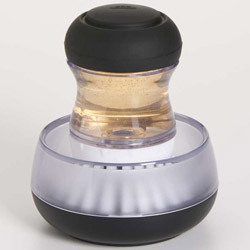 This is one washing up sponge you won’t want to hide away and the ‘Groovy Baby’ Washing Up sponge is sure to be a much admired accessory in your kitchen. 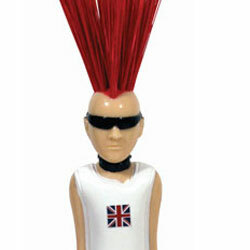 The ‘Groovy Baby’ Washing Up Sponge is part of a set of novelty washing up sponges from Paladone Products. 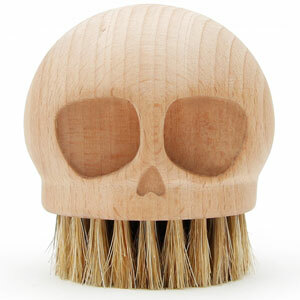 You may also like to check out the Diva Washing Up Sponge, the Punk Washing Up Brush and the King of Disco Washing Up Sponge and start a collection! Great for display and use!